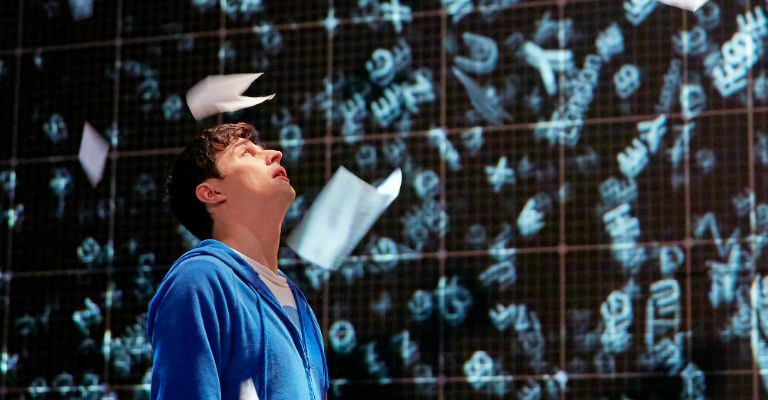 After a hugely successful run, the National Theatre are back with a brand new production based on Mark Haddon’s modern classic, The Curious Incident of the Dog in the Night-Time. The story centres on Christopher, a 15 year old who’s amazing at maths but struggles to deal with the pressures of everyday life. One night he finds his neighbour’s dog murdered on their lawn, and becomes determined to solve the mystery even despite his dad’s wishes. The resulting journey is one he’ll never forget, and neither will you! It’s fair to say that the Holy Island of Lindisfarne has had a bit of a chequered past. It’s been home to saints and sinners alike, and has seen its location has meant that it’s seen its fair share of violence in times gone by. This event will help visitors to explore different aspects of the island’s history as three actors tell the 1000 year tale of the fascinating outcrop, exploring everything from the origins of the Lindisfarne Gospels to tales of the grisliest Viking raids. Kicking off on 29th May, Wednesday will be your last chance to discover more about the long and colourful history of the island and the gospels. Astravaganza Entertainment are back and this time they’re bringing to life the tale of everyone’s favourite red-headed orphan! Set in New York during the Great Depression, we follow young Annie as she seems destined to live a life of misery in Miss Hannigan’s orphanage. She remains determined to find her real parents though, and gets the chance to escape her Hard Knock Life when she’s invited to spend Christmas at the home of billionaire Oliver Warbucks. Miss Hannigan sets her sights on ruining Annie’s dream of happiness, but will she succeed? Running until 3rd June, you’ll bet your bottom dollar that you’ll love this latest hit from the Astravaganza crew! The award-winning comedian, creator and writer of ‘Hebburn’ is returning to Hexham with a few big-name stand-ups in tow to bring a night of laughter to Queen’s Hall Arts Centre like no other! Step forward Jimmy McGhie, who’s been seen on Russell Howard’s Good News and despite his young age is already becoming a staple on the national and international circuit, including being a regular at the Melbourne Comedy Festival. 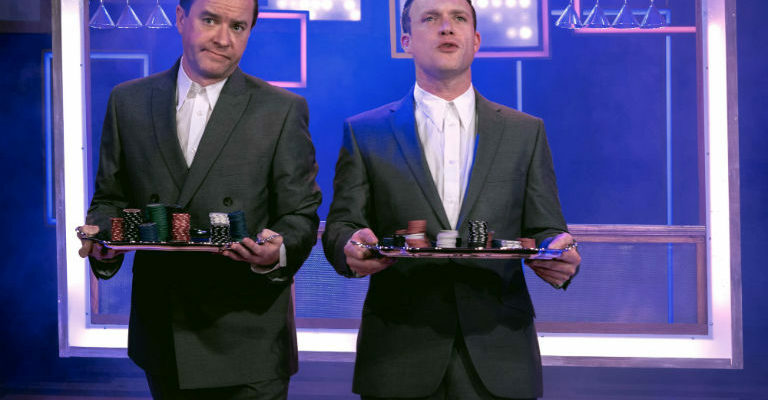 Jason will also be bringing along Paul Sinha, who first came to recognition when his solo show Saint or Sinha was nominated for the If comedy award at the Edinburgh Festival. Since then, he’s been popping up all over the place and has even been nominated for Best Club Comedian at the annual Chortle Awards. If you’re in need of a good belly laugh, this is the night you’ve been waiting for! It’s time to get your dancing shoes on! In the latest of their dance-along extravaganzas, Dance City are inviting everyone to don their best retro gear and get down with Tracy Turnblad, star of Hairspray, as she makes a push to be the become the brightest star on a hit 60s TV show and become an overnight celebrity. Start by learning some of the moves with host Chris JS Wilson, then get ready to pull some shapes to the film’s hit numbers, including It Takes Two and You Can’t Stop The Beat. After Dance-along Grease went down a storm, this one’s set to be a belter! Superheroes assemble! Lightwater Valley needs your super powers this weekend, so pop along for a zap, pow and kaboom filled weekend! All your favourite superheroes will be on stage seeing who’s the best on the dance floor (the ‘Ultimate’ test of super strength) and they’ll also be helping you to develop your crime-fighting techniques in a skills showcase. If that wasn’t enough, there’ll still be plenty of time to enjoy all of the rides on offer, from the adrenaline-fuelled to the slightly more sedate. Plus, it’s only £15 entry for anyone who comes in full fancy dress! If you can’t make it down on Sunday though, don’t panic! You can also pop down on Saturday 3rd June too! Also, don’t forget to enter our current competitions! Right now you could be in with the chance of winning tickets to winning 4 tickets to Lightwater Valley, a pair of tickets to see ‘The Magic of the Opera’ with Lesley Garrett at Newcastle City Hall, the National Youth Dance Company at Dance City or ‘Jane Eyre’ at Newcastle Theatre Royal!